Full Custom. 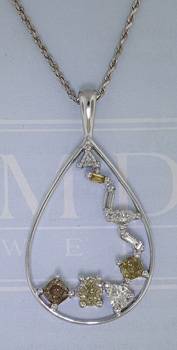 If you have a design for a dream ring, pendant or other object in your head that you desire looknofurther. We can take your ideas or your stones and "bring them to life". And best of all, you are involved in every step of the way. We begin with general information from you and help you select the stones to be used. 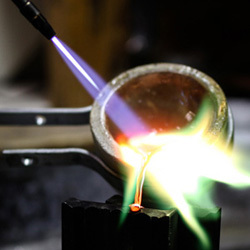 Then we obtain a wax or CAD design, and upon your approval, cast the piece. Our expert goldsmith will size, set the stones, embellish, polish and finish the piece. From imagination to realization, just like that. Alterations. Want to take that wedding set and "give it a makeover"? Or, inherited a lovely old pendant that's just not your style? We can help you update your treasures and repurpose old stones and settings. Our staff and goldsmith are here to help you design and transform old to new. Antique Restoration. If you have a vintage piece that is in need of a little TLC, we can restore it to its former glory. Whether you need stones with a vintage cut, replacement of a worn out shank, new tips or hand tooling, our goldsmith does it all. 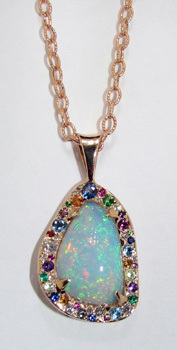 Custom made opal pendant with many different types of gemstones and colors sprinkled with white diamonds. General Repairs. 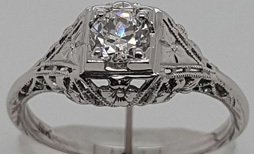 We offer full-service, in-house, repair on most items including platinum! Our goldsmith is an expertwith many years of training, and our fully equipped workshop allows him to do just about anything. From tips and resizing, to soldering breaks, laser-welding chain links, setting stones, hand engraving and plating; all it takes is a few days and your piece never leaves our shop. Watch Service. We do on-site battery replacement and link removal/band adjustments. We send items for warranty repair to the manufacturer and we contract with an expert watchsmith to do all manner of watch repair, cleaning and refurbishment. Evaluations. We happily provide free cleaning of your jewelry and free evaluation of the condition of the item, including any suggested repairs. Formal Appraisals. If you need an appraisal for insurance or estate purposes, we can professionally evaluate your items and produce the necessary documentation. A full description including styles, stones, metals and retail replacement value are all provided. Machine. Want to commemorate a special date or person? 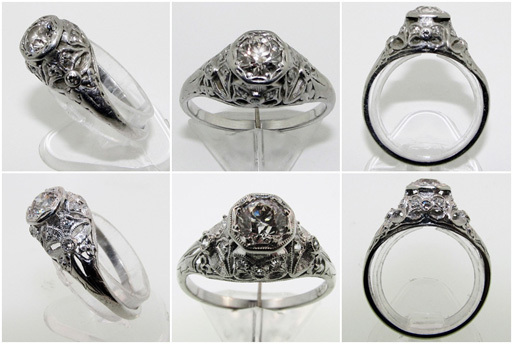 We can engrave on many objects and materials, either by hand or using a diamond-tip machine. There are lots of fonts and logos to choose from, but if you don't see what you need, we can design it. By Hand. 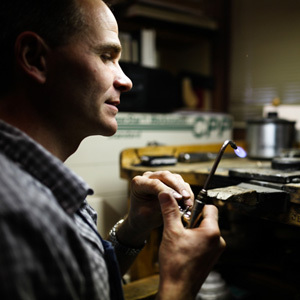 Our Jeweler is an expert in the lost art of hand engraving. Usually found in antique jewelry and replicas, hand engraving adorns many delicate and high end jewelry items. 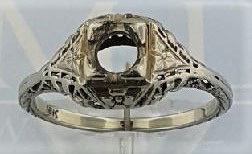 We will consign certain types of jewelry, usually retro or antique pieces that do not need repair. If the jewelry is in disrepair we may be interested in buying it to restore. We buy gold and other precious metal bullion and coins, and we do it at highly competitive rates. We buy old jewelry for its gold and silver content.